Today’s post is about surprises. Whether there was a twist that shocked me and had me physically react to the book or a book that I ended up thinking about long after I had finished it, these are books that fit the surprises prompt. 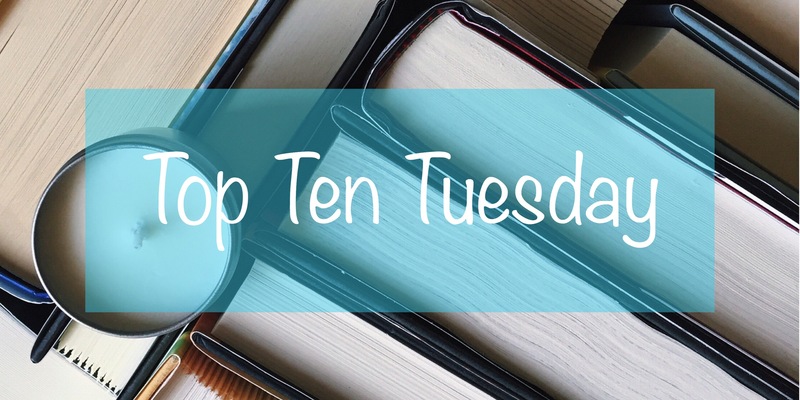 In no particular order, here are ten books that held surprises for me within their pages. My first Gillian Flynn book, this one kept me turning the pages like crazy! The story itself was so thrilling and I didn’t know what to believe. The ending was really unsettling for me (and I was angry but I also thought it was so good! ), and I found myself looking for Flynn’s other books after finishing this one. I will admit that initially the title was a big turn off so I didn’t actively seek out this book. When I received it in a book box I wasn’t that excited…but then I read it. It was a surprise to read a book that created a lot of emotions within me the way that this one did. I wrote my review here! I haven’t read this book since I read it for a class assignment back in middle school, but I remember being so angry about what happens. I loved the book for the kingdom that the characters created, because it reminded me of my own make believe. So when the real world comes crashing into that, as a child I had a hard time separating the fact that something so real could happen in a world that I believed to be magical. I think I’d be able to handle it better now, but at the time it was so jarring. I just finished this book and I decided to include it because I enjoyed it more than I thought I would. I thought it was going to be a standard contemporary with a sci-fi twist, but it was so much more than that. I was surprised by how much I connected with the main character. This is a book that I was surprised to find myself eager to finish. I wrote a review here. I didn’t think that I’d enjoy this mystery as much as I did. I wanted to like this one because carnival aesthetic! It had a lot of rave reviews and a lot of my book friends enjoyed it, but it just fell flat for me. The elements were interesting but they weren’t strong enough in the end to make this book one of my favorites. I wrote a review here. I’m including this book because my author friend M. Regan and I recently talked about it. I read it when it first came out and I really didn’t like it. I’ve been tempted to reread it since the creation of the show so I can write a proper review for it, but I’m not sure I want to subject myself to it again. If it wasn’t good for me back then I doubt that I’ll be able to hold back the anger now when just thinking about this book makes me mad. This is not the first book in the series. I’m including the second because I was surprised how much I got into it after being unimpressed with the first one. This is the one where I discovered exactly why everyone loves Bardugo’s writing and now I do too. I wrote on this one here. There’s spoilers for the first book! This was the very first manga series I read. It wasn’t something I was into until this series and I was surprised by how much I loved the story and the characters. It was my debut into the world of Japanese manga and anime. This was the first book I reviewed on [a cup of tea and an armful of books]! It also is one of the first horror books that I’ve read. I read this during the day so I thought I was okay, but when I went to bed that night I took the book cover’s advice to heart and was terrified the whole night. Oops! What about you? What are the books that have surprised you––for better or for worse––during your reading adventures? March 13th’s topic was “Books that Surprised You” If you’d like to check out the other posts people have written, you can find it on The Artsy Reader Girl’s page! #3 – that was how I felt about a certain book. isn’t it terrible that all that fantasy gets ruined by reality? the rest I haven’t read. it’s surprising how books can be love by some and not by others. reading is really very much a preference I think.